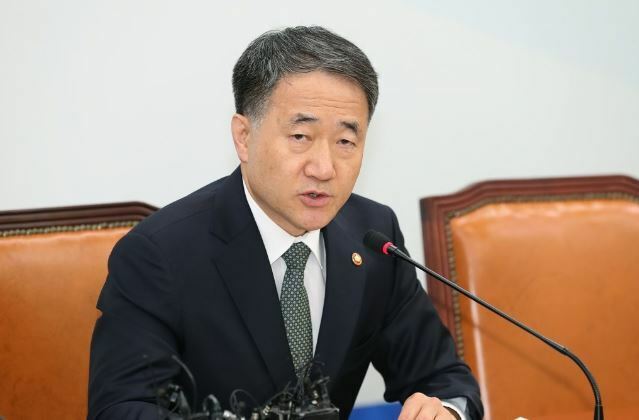 South Korea's health minister said Thursday that officials are making efforts to submit a proposal on reforming the national pension scheme to the parliament by the end of this month. Health and Welfare Minister Park Neung-hoo made the comments in a parliamentary budget session earlier in the day. The ministry oversees South Korea's National Pension Service, the world's third largest, which has 630 trillion won ($564 billion) in assets. On Wednesday, President Moon Jae-in called for an overhaul of the ministry's draft on reforming the national pension scheme in a way that better reflects people's opinions. The draft was not made public, but it is believed to have called for lowering the pension's income replacement rate to 40 percent by 2028 from the current 45 percent, while gradually raising insurance premiums to 15 percent from the current 9 percent. Over the past 10 years, South Korea has jacked up state health insurance premium rates annually, except for 2009 and 2017, with the annualized increase rate averaging 3.2 percent over the period.